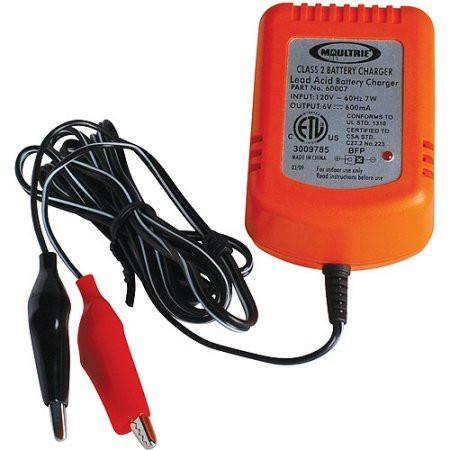 Easy to use and easy to read, the Moultrie 6-Volt Battery Charger is must-have for efficient feeding in the field. Increase the utility of your feeder and game camera batteries with this very worthwhile purchase. An LED light changes color when the attached battery reaches a full charge, and a trickle-charge feature ensures your batteries get only the charge they need and no more.